With the advances in molecular genetics, the function of the APC gene has been and still is being described. 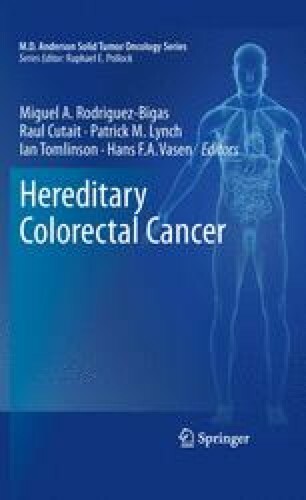 In this chapter, a description of the APC protein, function, its relation to tumorigenesis, Familial Adenomatous Polyposis and other colorectal cancer syndromes will be discussed. Finally animal models which have been proven invaluable in the discovery of the APC protein function, will be described.